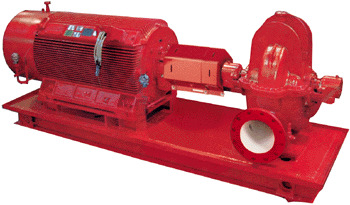 Double-suction, base-mounted Series HSCS pumps are available in 6 through 24 sizes. Motor sizes through 4000 HP. Flows to 40,000 GPM and heads to 600 feet. Externally flushed mechanical seals are standard features on this series.